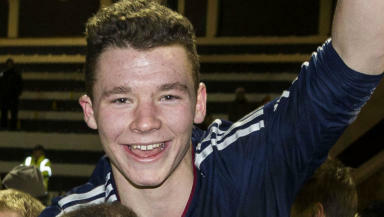 The exciting forward starred for Scotland schoolboys as they won the Victory Shield. With the Dundee United academy starting to produce some fine young players, Ali Coote is being looked upon as the next big thing to break through at Tannadice. Coote starred in Scotland's Victory Shield triumph and is already being tipped for as the next star to rise with the Tangerines - despite still studying towards his Standard Grade exams. His international appearances saw him impress on left wing but the adaptable kid is comfortable across the deep forward line, presenting a viable goal threat from the channels and centrally. With Ryan Gauld, Stuart Armstrong and John Souttar already lighting up the Scottish Premiership, it would not be stretch to believe that Coote is destined to follow them into Jackie McNamara's dynamic youth team. 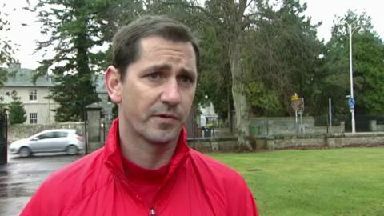 Jackie McNamara, Dundee United manager: "Maybe some people have seen him with the Scotland Victory Shield team. He's done very well. He can play a few positions and score goals. "He is a tremendous prospect. He's one that we're delighted he's a Dundee United player. "We're hoping to have him [in the team] for the end of the season, starting for next season." Playing and scoring in the Victory Shield for Scotland.